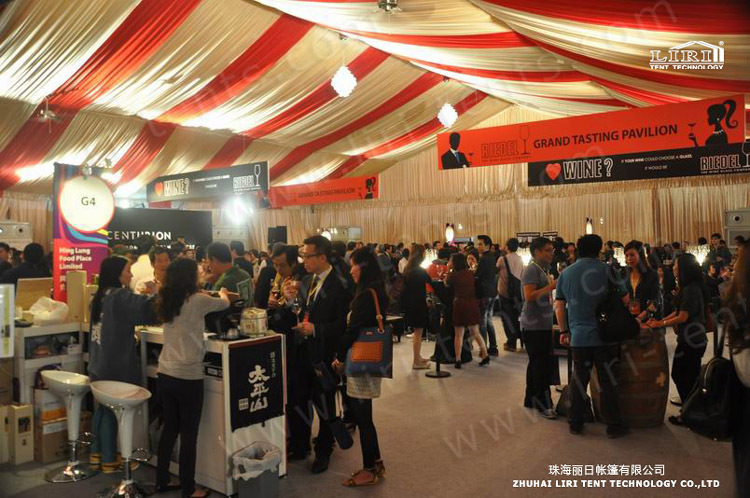 The website only show partial of our aluminum event marquees,we can also make customized tent exactly according to your requirement. If you are interested ,please contact to get our brochure. LIRI aluminum event marquees are extremely versatile and are ideal for any party from backyard weddings to royal weddings. Our beautiful and durable wedding tents will impact the bottom line of your wedding ceremony. 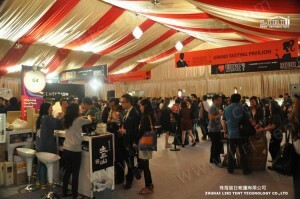 Our unique designed glamorous aluminum event marquees with sculpted high quality decoration creates an attention-getting silhouette.. The aluminum event marquees are easy to install, lighter to transport and has less stakes to pound. Ease, durability and aesthetics are combined in the design of our aluminum event marquees. Are you still in trouble for the event marquees? It is doesn’t matter. 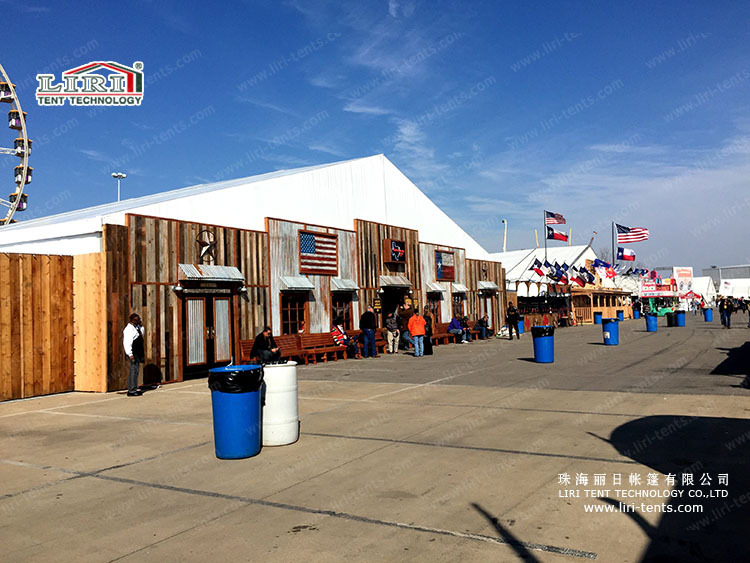 Because the 10×30 Aluminum structure clear span tents with glass wall system can solve the problem for you. 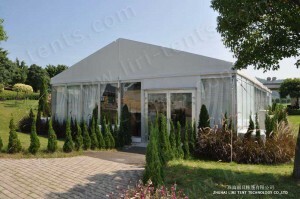 Clear span tent is suitable to hold any activities, such as ceremony events , weddings, parties,and so on. Certainly, the clear span tent which has glass wall system, is able to decorate many colorful lining what you like, including customize welcomed. Contact with us if you would like to know more about it.